This tool helps you get the disk space information on the computers of your choice. 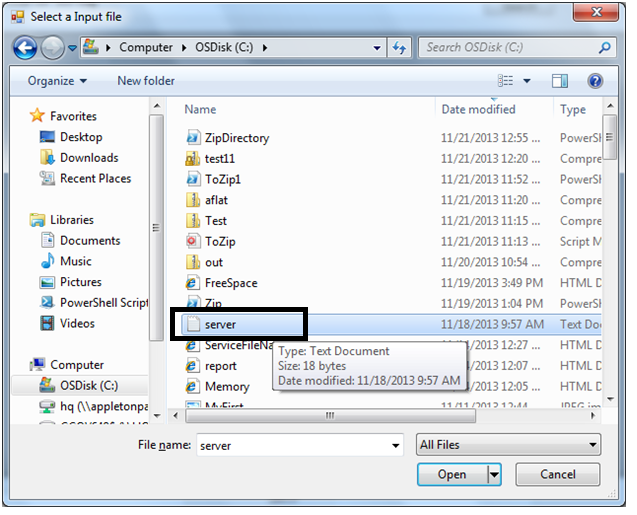 Either you can type the path of an input file or hit ‘Browse Button’ to select the file using dialog option. Put the select input file and hit ‘GetDisk’. It will query the disk space information from the computer and present it to you in tabular formats.The Grid view output can be sorted on any selected columns shows the amount of memory in use, the name of the server, the volume name, the total size of the disk, the available free space, the partition identifier and the percentage of free space. You can do a search by placing a right keyword and hit ‘Search’ button. Also, Email can be sent to an intended users by making an entry in the corresponding fields in a below portion of the tool and hit ‘E-Mail Output’ button. Sort the ListView's item using the specified column. This function uses Add-Type to define a class that sort the items. The ListView's Tag property is used to keep track of the sorting. 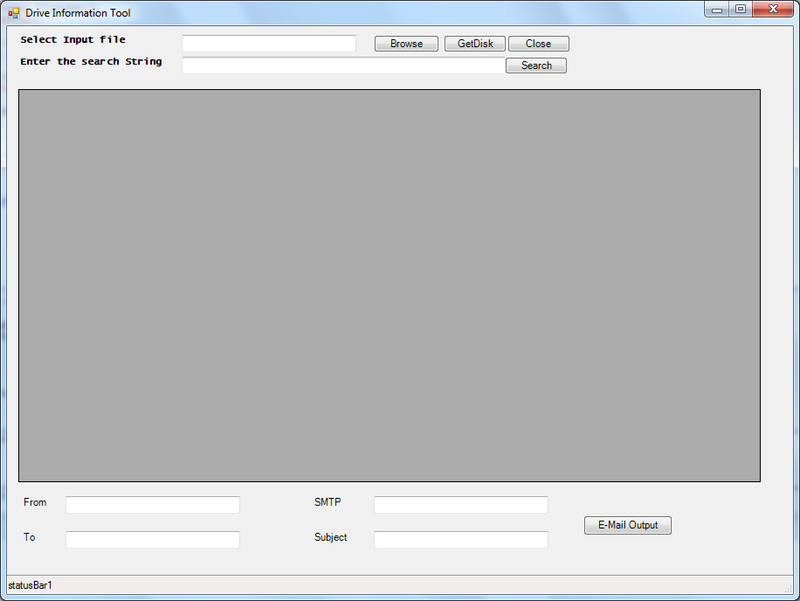 The ListView control to sort. The index of the column to use for sorting. The direction to sort the items. If not specified or set to None, it will toggle. Add-Type -ReferencedAssemblies ('System.Windows.Forms') -TypeDefinition  @"
Adds the item(s) to the ListView and stores the object in the ListViewItem's Tag property. The ListView control to add the items to. The object or objects you wish to load into the ListView's Items collection. The index of a predefined image in the ListView's ImageList. List of strings to add as Subitems. The group to place the item(s) in. This switch clears the ListView's Items before adding the new item(s). Add-ListViewItem -ListView $listview1 -Items "Test" -Group $listview1.Groups -ImageIndex 0 -SubItems "Installed"
This functions helps you load items into a DataGridView. 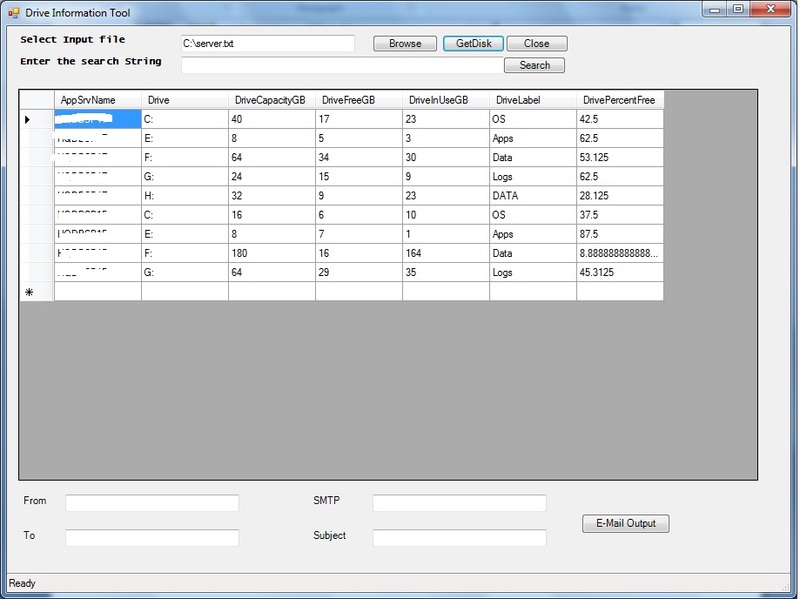 Use this function to dynamically load items into the DataGridView control. The ComboBox control you want to add items to. The object or objects you wish to load into the ComboBox's items collection. Sets the name of the list or table in the data source for which the DataGridView is displaying data. Converts objects into a DataTable. Converts objects into a DataTable, which are used for DataBinding. The input to convert into a DataTable. The DataTable you wish to load the input into. This switch tells the function to keep the DataTable's existing columns. This switch removes WMI properties that start with an underline. add-content $fileName  "<td colspan='7' height='25' align='center'>"
add-content $fileName  "<font face='tahoma' color='#003399' size='4'><strong>DiskSpace Report - $date</strong></font>"
Add-Content $fileName "<td width='10%' align='center'>Drive</td>"
Add-Content $fileName "<td width= 10%' align='center'>Drive Label</td>"
Add-Content $fileName "<td width='10%' align='center'>Total Capacity(GB)</td>"
Add-Content $fileName "<td width='10%' align='center'>Used Capacity(GB)</td>"
Add-Content $fileName "<td width='10%' align='center'>Free Space(GB)</td>"
Add-Content $fileName "<td width='10%' align='center'>Freespace %</td>"
Add-Content $fileName "<td bgcolor='#FF0000' align=center>$freePercent</td>"
Add-Content $fileName "<td bgcolor='#FBB917' align=center>$freePercent</td>"
Add-Content $freeSpaceFileName "<td width='100%' align='center' colSpan=6><font face='tahoma' color='#003399' size='2'><strong> $server </strong></font></td>"
#    $processes = Get-WmiObject Win32_Process -Namespace "Root\CIMV2"
$statusBar1.text="Select Input file or Enter Input file path...Try Again!!!" $statusBar1.text="Could not connect to $computer ...Try Again!!!" $statusBar1.text=" Checking Email Entries ...Please wait"
$form1.Text = "Drive Information Tool "
$lblDBName.Text = "Select Input file  "
$lblExpire.Text = "Enter the search String"
$dialog.Title = "Select a Input file"
This entry was posted in PowerShell and tagged DiskSpace, Email Output, Grid Search, Grid Sorting, PowerShell GUI tool. Bookmark the permalink. Hi, Using T-SQL can we monitor Diskspace on an UNC and alert.. Yes, You need to enable xp_cmdshell and ole automation objects across the server. Hi, The tsql only shows the local drives size .. wanted it to work on an UNC path too. Are you ok with enabling above mentioned extended stored procedures?.I can right a code for you…Let me know. This is realy a nice tool!! I change CurrentCell to a few other namings which suite in my listview but still getting this error. A hint on what to change to use this in a listview would be apprecciated. Hi Friedrich..If you send you code..I will try to debug. Its really hard to say what’s causing the issue.